Having the ability to take credit card payments can be great for your business. It allows for some versatility in the payment options for your goods or services. Finding a solid merchant service provider is important because it will save you money and allow you to get more of your money. Merchant services providers charge you a fee to process the credit card payments. This review looks at the top three credit card processing companies to let you find the perfect fit for your business. It is sure to help you decide which company can offer the optimal services for your business at the lowest cost per month or per transaction. Many companies try to negotiate with their merchant services provider to get a better rate. However, if your company is not making more than $10,000 per month, it just may not be worth it. If your sales are less than $1,000 per month, Square is a point of sale system for small businesses that will be easy to start with. Payline Data is the perfect merchant services provider for most businesses mostly because they are one of the positive companies in the industry. They are known as a stand-up choice in an industry full of shady businesses. Payline Data has one of the lowest rates for processing in the entire industry and their payment structure is very transparent. There is no monthly minimum and they have a branch of their business that works to give back to the community. Overall, they are a great company for merchant processing services. Payline Data was chosen as the top merchant services provider or the best merchant service provider because they offer low pricing and a transparent and easy to understand pricing system and offers exceptional technical support 24 hours a day and 7 days a week. There is no application fee, minimum per month, or termination fee for the services. They are also determined to give back to the community, which is great when it comes to corporate social responsibility. Dharma Merchant Services offer payment processing services virtually, in the storefront, and in restaurants. They will process payments online or over the phone, accept cards in retail and point of sale locations, and offer low rates for quick-serve merchants and restaurants. They offer interchange-plus pricing solutions to ensure that their business is 100% transparent. That way there are no surprises. It is the honest option because the rate is fixed and flat. There are no long-term contracts and no hidden fees. The Clover POS system allows you to accept many different payment types. It also allows you to have access to the best hardware in the industry. It makes it easy for your customers to pay. And they will offer a business to business comparison to see if they can reduce your interchange fees or find any other savings. Payment processing through Cayan is designed to grow with your business. This merchant service providers is designed to work with any size business, small, medium, or large. That way, you will always be able to find the right services whether you are in it for yourself or run a multi-million dollar company with over 500 employees in several countries. They claim to offer faster card transactions in their ultra-secure e-commerce platform that will turn those one-time buyers into long-term customers. The cloud-based solution can unify all of the touch points and is fully configurable. Their system is customizable, unified, feature-rich, secure, and future-proof. The system works to accommodate your business’s needs. The unified system allows you to service your customer’s needs whether they want to purchase online or pick it up in the store. Returns are easy and can be processed quickly, so you can make a statement in the consumer’s mind about your exceptional services. The system is secure and protects your customer’s information. It is packed full of features and designed to offer seamless updates to keep it working optimally in every channel and on every device. Before you can compare the various pricing structures available with the various merchant service providers, you need to understand a little bit about the two pricing structures they use. When using the interchange plus model, the merchant service provider charges a percentage that is fixed for each transaction and a fixed fee for every sale that you process with them. In this model, the percentage and the fee paid per transaction is the same regardless of whichever card is used. Payline Data and Dharma use this transparent model because they are reputable service providers that want their customers to know what they are being charged. The chart below gives you an idea of how these fees will add up. They include the interchange fee for the customer’s bank, the merchant fee for Payline, the fee for the card’s brand name, and the total rate that you would pay. Then it applies those fees to a single $100 purchase to give an idea of what the fees will be altogether. A tiered pricing model charges you a percentage of each transaction and this includes all of the fees listed separately above. The merchant services provider fees can go up or down depending on the type of card that is used and whether the card is a “qualified” card or not. The fees are not consistent with this model and the cards are classified differently from the various providers. It is usually used by the less trustworthy providers because it is unpredictable and one can never have an idea of what they are going to have to pay in fees. The experts say to choose the Interchange Plus models because they are easier to predict and they are used by the most reputable companies in the industry. The payments are clear and transparent. You know what you are paying. PCI fees are charged as well. These are the Payment Card Industry compliance fees that are charged either monthly or yearly. It pays for the customer service and other services. Which Merchant Services Provider Is Right For You? After examining these top options, the comparison of some key features can help you decide which team is ideal for your organization. You want a merchant service company that works with your company’s volume and overall needs. When looking to compare pricing for merchant services, it can get a bit tricky. They all offer different pricing methods that sometimes depend on the amount of sales for a particular period or the number of transactions. The chart explains the basic fees in a way that makes it easier for you to compare them side by side. The debit and credit card fees are different. You will also pay different rates depending on which type of card the customer uses as well. So, if the customer uses an American Express card, you will pay more than if they use a Master Card. The interchange fees that banks and credit card companies charge are going to be nearly the same regardless of which company you choose. This is if you are working with one of the larger merchants. The fees charged by the merchant service account providers is going to be different depending on the provider that you choose. There are two main methods that these companies use. The first is an interchange plus pricing model and the second is a tiered pricing method. This section will look more in depth at the three merchant processing companies to get an idea of what the costs for each will include. There are so many different ways that these merchants offer their services to meet the needs of various businesses of all different sizes. It can be very complicated. Payline Data works to find the ideal plan for various businesses depending on their size. They focus on educating their clients in regards to why the Interchange Plus Model is the ideal way for them to process their credit and debit cards. They even include an informational video that helps businesses understand the Interchange Plus model. It is a great way to get a better idea of why this method is preferred and to get a better understanding of how it works. Payline Data has two plans to choose from when it comes to debit and credit card processing. The simple plan is designed with no monthly fee but charges a higher processing rate. The difference is a .5% processing rate and a $.15 per transaction charge. These are added to the interchange rate. The Pro Plan charges a higher service fee per month of $15, but offers one of the lowest processing rates in the entire industry of .2%, plus the $.10 and the interchange fee. For the Pro Plan, the breakeven point is $5000. So, if you think that your processing will be under this amount, choose the Simple Plan and if it will be over this amount, choose the Pro Plan. That way you are getting the best rate depending on your credit and debit sales. Online transactions carry different rates and this should be considered if the majority of your credit sales are online. There are no termination fees associated with Payline. There is a fee of $ 25 to close the account and the fee for PCI non-compliance is also added if necessary. There is support that will help you avoid the PCI fee available. Add-on services are available. You can get more information or a free and no obligation quote by visiting their site. Dharma Merchant Account Services uses the Interchange Plus Model as well. They are one of the only companies that have a solid reputation besides Payline. They offer no termination fee and an account closure fee of only $25 as well. Their transparent rates are easy to understand. They charge . 25% plus $.10 per transaction that is added to the Interchange Rate. It is higher for online processing as well. These fees jump to .35% and $.15 per transaction fee with the $20 per month fee for Aurthorize.net. They are similar in pricing with Payline and charge a $15 PCI compliance fee for the hardware costs to the gateway costs. Cayan doesn’t come with a transparent pricing structure like Dharma and Payline. A live representative will discuss the pricing for the various services. Their staff is friendly and polite. They work hard to answer any questions that one may have in regards to their pricing and plan options. They offer Interchange Plus Pricing upon request. A single terminal can be around .39% plus $ .25 for the debit cards and 1.85% for qualified credit cards. The fees also include a $4.95 a month for customer service, a $25 fee per month as a minimum, and a yearly PCI compliance fee of $99. Needless to say, Cayan is still a top choice and is one of the leading merchant service providers out there. Payline Data offers technical support 24 hours a day and 7 days a week for their customers. If you have a non-technical question, you will have to call, chat, or email for support. The office hours are from 8 am to 6 pm CDT, Monday through Friday. Their site also includes a customer support forum and knowledge portal. To answer some of the commonly asked questions. It is a great resource when it is essential to get an answer right away. Dharma Merchant Services offers technical support all day and night and every day of the week as well. They also offer phone support for non-technical issues from Monday to Friday from 8 am to 5 pm PST. Email support is also available and some third party numbers are available as well. These can include the payment gateways. Cayan has won the Stevie Award for their customer service. They work to excel with their support and offer their customers support for technical and non-technical issues 24/7. They have in-house phone support any time and live chat 24 hours a day Monday through Friday. They also offer some mobile support features for a Zappix application as well. Personal experience with the customer support representatives at Cayan confirms the main reasons why they were awarded for their customer support. The representative was very knowledgeable and really went above and beyond any expectations that were set in regards to their service. Hardware is an essential part of the processing of credit cards. All of the merchant account companies sell the credit card readers. But, there is no need to purchase this hardware, like the card readers from these merchant service providers. 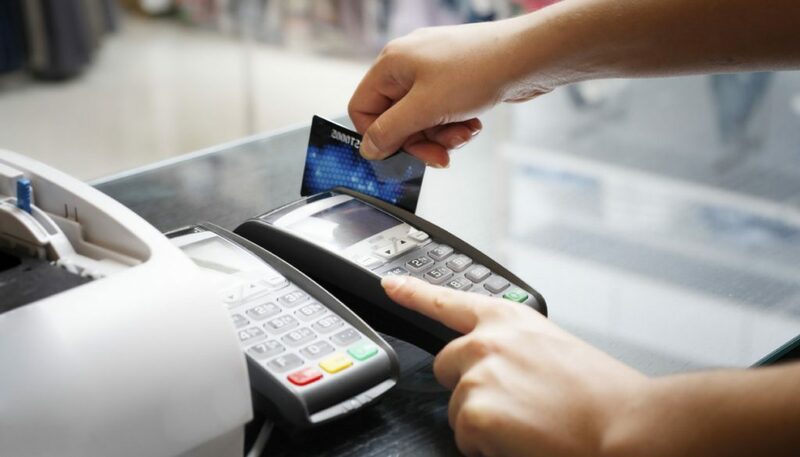 It is better to purchase your card readers from a POS system provider. A point-of-sale system will include a card reader, a receipt printer, a cash drawer, and an iPad. When you purchase the card reader from the POS provider, it is easier for it to be integrated into your overall system. This can make it easier because you may not need to manually enter the transactions into the system after you run them. Check out Lightspeed for your POS system and receive a free trial period to ensure that it’s right for your business. Payline Data has a hardware store where you can purchase credit card processing equipment, POS systems, and other devices. Dharma Merchant Services provides several hardware options that you can buy. It is a great way to save money by not leasing the equipment. The system works with most hardware that you may have, but you need to make sure to check with the provider first. Cayan has a wide selection of credit card processors that are available. Representatives can help you decide which one is right for you and your business. They offer a decent model for around $159. It is a decent price for the equipment and will save a ton compared to leasing a device. Mostly all of the providers accept all of the major debit cards and credit cards. There are some that also accept mobile payments. Some of them can integrate with your system as well to make it easier to process and record payments. Payline Data accepts the standard credit and debit cards and has its own full feature Payment gateway that costs $10 per month and $.10 per transaction. Dharma accepts standard credit cards and debit cards. The system works with three payment gateways that include USAePay, Priority Payments MX, and Authorize.net. There are various fees and costs that are associated with each of these services. They also accept ACH Direct payments. Cayan accepts major debit cards and credit cards, but adds an additional advantage. This is that they offer free use of LinkPoint Payment and Authorize.net gateways. Which Merchant Service Provider Offers More? After reviewing the top businesses in the industry, Payline Data is the top pick. That is because it offers a straightforward pricing system that is the lowest in the industry. They also offer great customer service that includes tech support 24/7. Both Payline Data and Dharma believe in philanthropy. They work hard to give back to the community through several projects that they are working on. Payline Data has a complete arm of their business that concentrates on giving back and other charitable causes. Dharma has not been giving back for quite as long as Payline. However, they just donated half of their profit to charity. 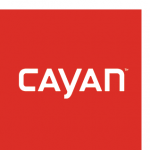 Cayan offers additional add-on services to benefit their customers. They have customer loyalty programs, cash advance options, mobile processing and payments through their MerchantWARE app to ensure that they are giving back. Find the solution that works best for your business. These are the top small business options, because they are reasonably priced and offer benefits to benefit you and your customers. The WiseSmallBusiness Team is full of industry experts and successful business owners willing to contribute important business articles.